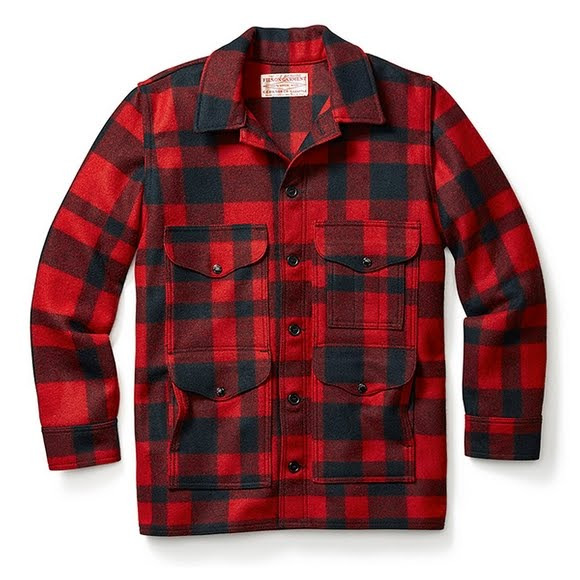 Our Mackinaw Cruiser jacket from 1914, still warm, functional and durable. Originally designed to protect timber cruisers during long days in the woods, our rugged Mackinaw Cruiser soon gained fame for exceptional warmth, comfort and durability. Our Mackinaw Cruiser jacket from 1914, still warm, functional and durable. Originally designed to protect timber cruisers during long days in the woods, our rugged Mackinaw Cruiser soon gained fame for exceptional warmth, comfort and durability. It&apos;s famed for function too, with 4 front utility pockets, a 3-slot pocket, 2 hand warmer pockets, an open inner pocket, and a full-width map pocket in back. Made of our thickest, heaviest Mackinaw Wool, a proven barrier against wind, rain, snow and cold. Longer cut (average 31" in back). Button cuffs. Made in USA.